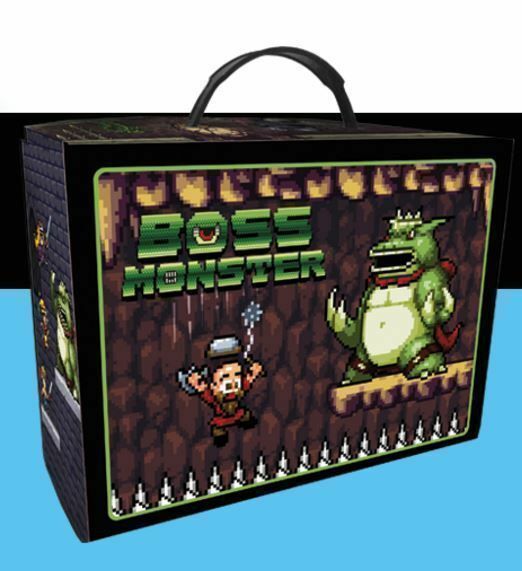 From the publisher: Brotherwise Games is pleased to offer a Collector Box for Boss Monster: The Dungeon Building Card Game. The Collector Box is crafted of sturdy cardboard with retro lunchbox stylings, holds over 500 sleeved Boss Monster cards, and includes labeled dividers for all your card types. Also included are 11 all new Boss Monster cards featuring the 'Portable' keyword, allowing nefarious dungeon Bosses more flexibility in dungeon design than ever before!